Last week, we took an evening trip to visit a NorthSky client and do some belated Spring cleaning! 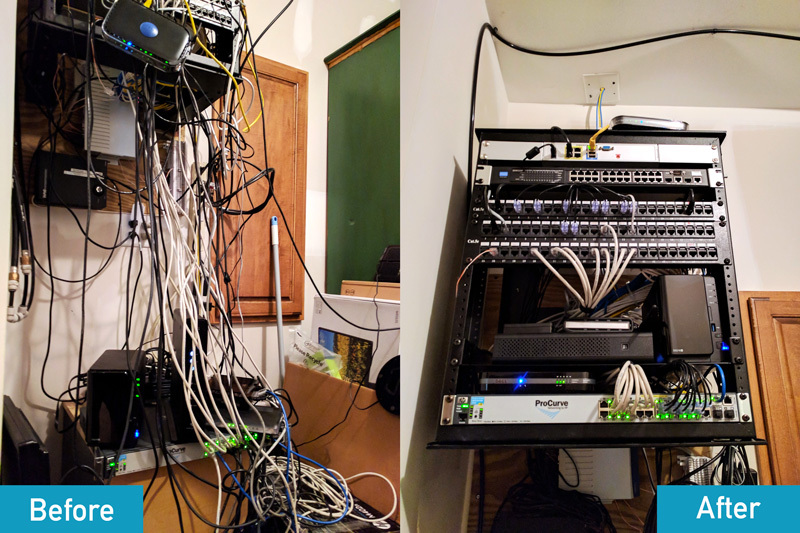 After years of tinkering, adding, and re-configuring by 3rd party vendors and other tenants, this network closet had become quite a mess! In just a couple hours, we were able to get everything tidied up and organized. Check out the results!